On one Saturday each month join us as we set out to feed our city’s homeless. 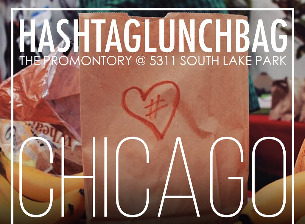 “We make a living by what we get, but we make a life by what we give” It’s almost time for #Hashtaglunchbag Chicago!! We have found a fun and easy way to volunteer a little of your time to help our city! We will be assembling and distributing 1000 lunches for Chicago’s homeless community. No registration needed and all ages are encouraged to attend. As always, we grow when others help spread the message. Admission is free, but $10 donation requested.